Jed's parents, Dan and Miriam Lowrie, are the type of people who get excited about life and learning—by experiences. And Jed, their only child, is the same way. He greets life with passion and he has manifested that in everything, including his grown-up job as a Major League Baseball player. "He really started throwing the ball around when he was 2 or 3 year old," Miriam says, "and with pretty good accuracy. It just seemed to come naturally for him." Lowrie says, "From an early age, I was able to get good instruction. My dad wasn't a big-time athlete, but he started me at a young age and saw something—saw I maybe had some talent. He always provided me with the opportunities." Lowrie's father, Dan grew up on a farm and went to Oregon State to get a degree in agriculture. Both he and Miriam, who grew up in Minnesota, were members of the the FFA (Future Farmers of America). But Dan Lowrie's profession ended up being as a banker. Their backyard spanned three-quarters of an acre, and they owned a farm about 25 minutes away that they'd visit on the way to or from Jed's hitting lessons. Lowrie says he liked visiting the little calves, though it was the family dog that he showed at a 4-H competition at the local county fair. Jed's Mom also led 4-H cooking classes every week for he and his friends. Every week, they'd make a new meal. Now Lowrie, a fine cook, says he likes to try out new recipes at home with his wife, Milessa. She was a freshman at Stanford University when she met Jed. Milessa was a varsity pole-vaulter at Stanford, while Jed was the Cardinal's star baseball player (twice named to the Baseball America All-America team). They dated off and on while in college, but Milessa steered away from a serious relationship while working on degrees in international relations and Spanish. A master's degree in public affairs and international realtions from Princeton followed, and by then, Lowrie was also on the East Coast playing baseball. They finally formed a serious relationship and were married in 2011. Milessa was eventually hired by the U.S. State Department, which attached her to the American consulate in Toronto. She's now based in Latin America while Lowrie jets around the States for six months out of the year, plying his trade. "We've gone up to six weeks without seeing each other, but we both know how much we want to spend time together, and so the time we do spend with each other is that much better," Jed says. "We both maintain that we are chasing our dreams right now. We always said we're always going to make it work." In November 2011, Lowrie married Milessa Muchmore-Lowrie. They honeymooned in Africa. The memories of both the wedding and the voyage into the unknowns of the wilderness—Lowrie and his wife had to take a pair of 9 1/2-hour flights to reach Tanzania—will last a lifetime in their minds and forever in the vivid images of the more than 7,000 photos Lowrie snapped while on the trip. "It was just an amazing opportunity," he said. "If you were to ask any serious or semi-serious photographer, one of their dreams would be to go to Africa and shoot a safari. The raw footage, the raw data you get in a place like that is just absolutely incredible. "Animals you don't see anywhere else but in a zoo in the states, man-killing animals, are out in the wild living their lives, and you're just a part of it. It's an experience that is hard to describe, but one that everybody should experience." Jed kept a knife within close reach and an air horn at his side, just in case. He had been warned that life in the east African desert can be dangerous and knew he had to be prepared if a lion or some other ferocious animal happened to make its way upon his encampment. The idea of a close encounter with some of nature's most fascinating creatures and the opportunity to spend some time in their environment certainly came with its share of treachery. But on this winter night, in the depths of the Serengeti, the only thing Lowrie had to worry about were a few curious hyenas that were sniffing around his tent. "The only time that I felt scared was the first night in the Serengeti," said Lowrie. "We were out there, underneath a big canvas tent. Right before we went to sleep, our guide brought us to the tent, showed us around, gave us an air horn, and said, 'Blow this if there's a lion in your tent.'" Jed and Milessa built a home in Houston, and she was due to delivery their first baby in December 2013. She planned on taking a few years off, then when Jed closes the book on is baseball career, he will assume the stay-at-home duties. Lowrie was an afterthought in a Stanford University recruiting class that included John Mayberry Jr., who turned down over $1 million from the Mariners to go to the school. Jed passed up other college offers from Georgetown, several Ivy League schools, Oregon State, and Baylor. At Stanford, he won the Pac-10 Conference triple crown as a sophomore. In 2005, Lowrie led the NYP League in on-base percentage (.429). During the off-season before 2006 spring training, Baseball America rated Jed as 9th-best prospect in the Red Sox organization. But in the spring 2007, they dropped him down to #16. Lowrie worked his way all the way up to #5 in the Boston farm system. Lowrie has an excellent work ethic and mental makeup. Nobody works harder. He is fearless on the field, with a respectable cockiness—a presence in the way he carries himself. He is very mature, and a nice, respectful young man. In June 2007, Jed had his streak of reaching base snapped at 38 games—the third-longest in Portland Sea Dogs (EL) history. Lowrie has a little spot in baseball history because he belted a grand slam home run in an exhibition game with the Mets on April 4, 2009 at Citi Field, the first-ever round tripper hit in the Mets' brand new ballyard. Lowrie is so passionate about taking pictures he used photography as an elective to finish his degree in political science at Stanford University in 2011. He's even set up a website to display his images, and he eventually plans to sell prints of his work, but the web address won't go public until he's done tying up some loose ends. "Photography is addictive and expensive," he said. "I come out here and compete on the baseball field, and it's my creative outlet." He and his wife have also been to South America and Europe. Jed studied photography as a youth, then rekindled his interest in 2009 while sitting out most of the season with mono. And he went in and finished his degree through Stanford's art department. The couple visited Tanzania on their honeymoon in 2011 and have been to Belize, Peru, Ecuador and Mexico City. "It's seeing different cultures -- the way people live," Lowrie said early in 2016. "With international travel, inevitably, something is going to go wrong. So you have to be flexible. I don't know if it keeps you young, but it keeps your on your toes at the very least." Part of the Lowrie's travel is a by-product of Melissa's former position as a diplomat with the U.S. State Department. She was stationed in Toronto by resigned when the Lowries welcomed their first child, daughter Saige. 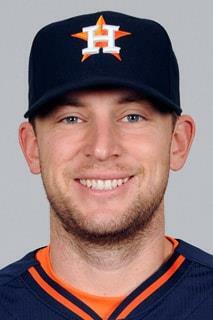 In June 2012, Lowrie was named the Astros' Player Representative to the Players Association, as voted in by teammates. Jed's favorite movie theater snack: Chocolate covered Gummy Bears. Junk food he can't resist: Oreos. But the food he refuses to eat? "Seafood. He won't really eat oysters, mussels, shellfish—that kind of thing," said his wife, Miriam. First CD or Album he ever owned: Carlos Santana: "Smooth"
Lowrie's biggest fear? "I'd have to say sharks," Jed said. Favorite super-hero while growing up? Teenage Mutant Ninja Turtles. Feb 18, 2017: Lowrie is able to run again, and sleep better. The nine-year veteran had two surgeries within a month last year. First, a multifaceted procedure to repair ligament damage and remove a bunion and cyst in his left foot. Then, an operation to resolve a deviated septum and relieve him of nasal issues that had disrupted his sleep for nearly a decade. Lowrie and wife Milessa had their second child in the offseason, a son named Miles, and Lowrie said he's "actually sleeping better and I've got a small infant at home." "I'm sleeping half as many hours at night, but I'm feeling better in the morning," he said. "If you look at how constricted my airway was, I've probably been sleep-deprived for the last nine years. That's not something that changes overnight, but that certainly made a big difference in my training and everything this offseason, because when you're not resting … I would sleep nine to 10 hours a night before and wake up and still feel tired." Jed won the 2017 Catfish Hunter Award, a team award voted on by players, coaches and staff members for the team's most inspirational player. The award is presented annually to the player whose performance and conduct best exemplify the spirit of the late Hall of Fame pitcher. Jed conducted three clinics in four days with help from Nicaragua native and Angels pitcher JC Ramirez and former big leaguer John Mayberry Jr., who roomed with Lowrie at Stanford. Stanford is also where Jed met his wife, Milessa, who worked at the U.S. State Department for several years as a diplomat, enjoying stints in Toronto and Mexico City before returning stateside to start a family. Together, they've given new meaning to a perfect marriage, binding baseball and diplomacy. "I think it's a pretty special combination," Lowrie said. Milessa, who made countless connections during her time in the State Department, took a request from one of them to her husband several years ago. Lowrie, asked if he would be interested in traveling to Colombia as a sports envoy, jumped at the opportunity to bring the game around the world. In 2015, he teamed up with Project Beisbol, a non-profit organization dedicated to providing resources to baseball and softball programs in Latin American communities, and ran clinics in Bogota, Cartagena and Barranquilla. In January 2018, they were at it again, this time in Managua, Nicaragua, and surrounding areas -- the power of sport to unite looming large in these communities. Like Colombia, Nicaragua was identified by Project Beisbol as a country that could see the game expand with investment and development. Support for their latest venture was widespread; the U.S. Embassy in Managua, the Nicaraguan Federation of Associated Baseball and the MLB Players Association's non-profit organization, the Players Trust, were all involved in the project, which included the donation of hundreds of pounds of equipment. Lowrie and Co. played host to 75 kids each day, many of them girls who were made to feel empowered throughout the experience. The participants jumped between stations, receiving not only extensive baseball instruction, but lessons on gender equality and gender-based violence through workshops run by local experts. The clinics were located at various sites, offering a broad view of the baseball landscape in Nicaragua. One was set up at Dennis Martinez National Stadium, a just-completed project that provides Major League-quality facilities, while others were staged down a dirt road in rural areas described by Lowrie as "the more real Nicaragua." "There couldn't have been a larger dichotomy," he explained. "But even on these back fields, you see the talent and the love of the game. I got out there and I pitched to them. Literally just a dirt field with a little grass here and there, kids using old catchers' helmets that didn't have the bill on it, and as they're running to first base, they're tossing off the helmet so the next kid could use it because they only have so many." Lowrie doesn't speak Spanish, but it didn't matter. Baseball, he quickly learned, is a universal language. "When I talk about these movements that I'm going to do, you can tell they're comprehending all of it," he said. "Whether you speak English, Spanish, Japanese, there are always constants." July 2018 : Lowrie, an 11-year veteran excelling in his age-34 season, became a first-time All-Star. December 14, 2011: The Astros sent reliever Mark Melancon to the Red Sox, acquiring Lowrie and P Kyle Weiland. February 8, 2012: Lowrie and the Astros agreed to a $1.15 million, one-year contract, avoiding arbitration. Jed had asked for $1.5 million in arbitration, while the Astros offered $900,000. January 18, 2013: Jed and the Astros avoided arbitration again, agreeing on a $2.4 million contract. February 5, 2013: The A's sent 1B Chris Carter, RHP Brad Peacock, and C Max Stassi to the Astros; Oakland received Lowrie and RHP Fernando Rodriguez. January 17, 2014: The A's and Lowrie agreed on a contract for $5.25 million for 2014, avoiding arbitration. November 4, 2014: The A's did not extend a $15.3 million qualifying offer Lowrie making him a free agent. December 15, 2014: Lowrie signed a three-year, $23 million contract with the Astros. Jed became the Astros’ starting shortstop, giving them a veteran to hold the crucial position until top prospect Carlos Correa is ready to start. November 25, 2015: The Astros traded 3B Jed Lowrie to the Athletics for RHP Brendan McCurry. Nov 2, 2017: The A's exercised Jed Lowrie's $6 million club option for 2018. Oct 29, 2018: Jed chose free agency. Jan 10, 2019: The Mets and Lowrie agreed to a two-year, $20 million contract. Lowrie is a switch-hitting middle infielder with some power to the gaps. He hits for a higher batting average and has decent loft power from the left side. But he has more power and hits more aggressively hitting from the right side. Jed has smoothed out his swing from the right side, while shortening his stroke. As a lefty hitter, he shows a good feel for the strike zone and solid bat control. Growing up, Jed worked at the game, and enjoyed it too. "There was a batting cage about a half hour from my hometown (Salem, Oregon)," Lowrie recalled. "I used to go there with my Dad (Dan). I'm a natural righty, but one day he asked me if I wanted to try hitting lefthanded. I tried, and there was something there but it wasn't that good. It's something I've had to work pretty hard at." He has good strike zone knowledge, superb plate discipline from both sides of the plate, and a solid, patient approach at the plate. He is a knowledgeable hitter who recognizes pitches. He will shorten up his stroke and take the ball the other way when the situation calls for it, like in two-strike counts. Jed works himself into hitters' counts, then drives the ball to either gap, hitting loads of doubles. He knows the strike zone. Lowrie rarely chases pitches out of the strike zone. "I tried to have the same swing from both sides of the plate for a while, but eventually I realized they're different. Then, I started working on the things I needed to do from each side. "I do have a leg kick, but it's subconscious," Lowrie explained. "It's not something I'm thinking about when I'm swinging. "Some days you're feeling good from one side and not the other, and sometimes you're feeling good from both sides of the plate. Those are the days when you're really having fun. "I know that when the Batting Stance Guy did my swing, he'd always do that one-handed finish and lean way back, like I do," Jed said. Jan 16, 2019: Infielder Jed Lowrie, who signed a two-year, $20 million deal with the Mets, is no stranger to some in his new organization. He will be reunited with hitting coach Chili Davis and outfielder Yoenis Cespedes, who were with Lowrie on the Athletics in 2013 and '14. Under Davis' tutelage in 2013, Lowrie had one of his best seasons in the big leagues. That year, he hit a career-high .290 with 15 home runs and 75 RBIs. After signing with New York, Lowrie and Davis have communicated via text, and the Mets' new infielder also sent video to Davis on what he has been doing during the offseason. "I look forward to working with [Davis] again, because we connect on so many levels," Lowrie said. "Chili is one of those guys that had a very fantastic [playing] career, very accomplished hitter. Still, to this day, he understands how hard it is and what it takes to go into how to prepare … every single day." According to Mets general manager Brodie Van Wagenen, he was in contact with Davis as the team was pursuing Lowrie. "Chili recognizes Jed's methodical approach [at the plate]," Van Wagenen said. "Jed has a plan every day. He works through his process and his hitting progression. Chili is a worker. Jed is a worker. I think that is something that Chili reinforced when he was sharing his thoughts with me." As of the start of the 2019 season, Lowrie's career Major League stats were: .262 batting average, 104 home runs, and 1,043 hits, with 509 RBI in 3,984 at-bats. Jed is a solid, everyday at shortstop. He has good defensive ability with soft hands. He makes all the routine plays, but isn't flashy. His range is average or better. He gets the job done because he is fundamentally sound. His footwork has improved at shortstop. He plays deep in the hole give him some trouble. But he has good hands. Lowrie has an average arm, but his quick release makes it look above average. Lowrie turns the double play well. Jed is compared to Jeff Blauser and David Eckstein. He is small and he plays the game with intensity. He is a less vocal version of Dustin Pedroia. Lowrie has a quiet confidence. The Red Sox believe Lowrie can play all four infield positions. In November 2007, Lowrie played a little at third base in the Arizona Fall League. Though he is still viewed primarily as a shortstop, the Red Sox were trying to increase the versatility of their 2007 Minor League Offensive Player of the Year. Lowrie played some third base as a college freshman at Stanford. In 2008, he committed only one error in his rookie season, and none at shortstop. Jed's defense was noticeably better in 2014. "I would say definitely an improvement," said manager Bob Melvin. "I would say he's been the best that we've seen defensively. In 2017, Lowrie played second base for the A's. May 2, 2006: Lowrie was on the D.L. for a month with a high ankle sprain. And it slowed him down for much of the season. May 2008: Jed was on the D.L. after sustaining a left wrist injury in a second-base collision in a game at Buffalo. It was a small nondisplaced fracture in his left wrist that bothered him the rest of the season. The injuries gave Lowrie occasional pain and affected his grip strength, particularly late in the season, which likely explains his difficulties batting lefthanded. Righthanded, Lowrie hit .338 with a .525 slugging percentage. Lefthanded, he hit .222 with a .334 slugging percentage. Jed finished the season in an 8-for-51 (.157) slump, but he played 52 of the Red Sox's 53 games in August and September despite the worsening symptoms. April 12-July 8, 2009: Lowrie was on the D.L. with a severely sprained left wrist. He underwent surgery in Arizona on April 22, with the good news that there was no damage to the cartilage. August 8-September 8, 2009: Jed was on the D.L. with ulnar neuritis in his left wrist. He underwent an electromyogram test, a procedure that measures the electrical current in muscles and therefore the amount of muscle activity. March 17-July 21, 2010: Lowrie was diagnosed with mononucleosis. So he began the season on the D.L. June 17-August 8, 2011: Jed was on the D.L. with a sore left shoulder that he suffered after colliding with teammate Carl Crawford. September 13, 2011: Lowrie had a cortisone shot to relieve the pain and swelling in that injured left shoulder. March 29-April 16, 2012: Jed was on the D.L. to start the season. He had a sprained right thumb, injured in a exhibition game. July 15-September 11, 2012: Lowrie was on the D.L. after he suffered a sprained right ankle and damaged a nerve in his right leg during a collision at second base. August 15, 2014: Lowrie went on the disabled list with a hairline fracture in his right index finger. He first injured it on August 4, then tried to play through the pain. April 28-July 29, 2015: The Astros placed Lowrie on the 15-day disabled list with a ligament tear in his right thumb that will require surgery. He injured it while sliding into home plate during the Astros' 9-4 victory vs. San Diego. Jed had the surgery on May 1. May 10-25, 2016: Jed went on the DL with a right shin contusion. Aug 5, 2016: Jed was on the DL with a bunion on his left foot. August 15-Oct 7, 2016: Jed underwent season-ending surgery to remove a bunion from the big toe of his left foot, manager Bob Melvin announced. Melvin said Lowrie received several opinions before deciding to move forward with the procedure, which will require a three-month recovery. It's unclear when it will be performed. March 25, 2019: Jed was on the IL with left knee capsule sprain.